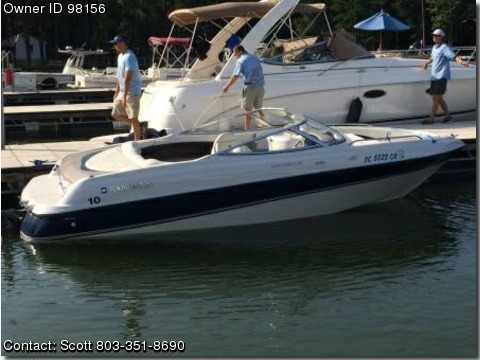 Boat is located in Chapin,SC.Please contact the owner directly 2 803-351-eight six nine zero or ssvthomas(at)gmail(dot)com…1998 Four Winns open bow boat for Sale – Horizon 200 model. This boat is in perfect condition with only 322 hours on the engine, always stored out of the sun and never left in the water. Powerful 5.0 liter V8 Chevy engine with Volvo Penta outdrive with stainless steel prop. Includes a custom cover, build in cooler, ski/wakeboard locker, plenty of storage, stereo, and custom tandem trailer.